Western North Carolina residential real estate at Nantahala Lake. Do you dream of moving to the North Carolina mountains? Would you like a personal retreat where you can go for rest, relaxation and regeneration? A place where you can spend your days on the water and evenings by a crackling fire? 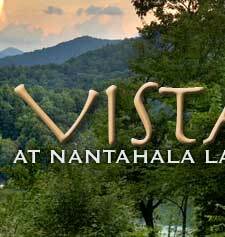 Vista at Nantahala Lake is that place. A small Western North Carolina real estate community  with just twenty-five home sites  on a mountainside above a quiet, shimmering lake at a cooling 3,000-foot elevation. Remote, yet easily accessible. 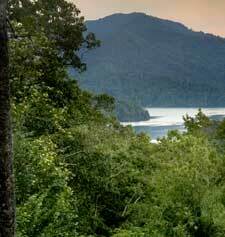 Vista at Nantahala Lake’s lots average an acre in size, and most offer southern exposure. All include underground utilities, a community water supply and sensible covenants that protect your investment. But these are no ordinary lake community home sites. Homeowners also enjoy unrestricted lake access, with the exclusive use of a shaded lakeside park with a private marina and full-time access to Nantahala Lake. Mountain real estate with the added value of lake access. It’s a rare combination for Western North Carolina real estate  affordably-priced lake lots with all the benefits of the more expensive lake-front properties.